Stephanie’s presentation opened my eyes to the importance of building fine motor skills in children, and taught me what to look for. 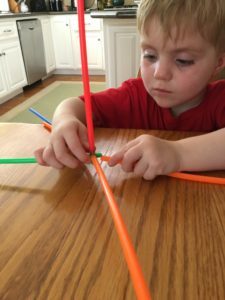 Plus, I loved all the suggestions for fun and inexpensive activities at home that will tune my kids’ fine motor skills while keeping them entertained. As an elementary educator and a mother of two preschoolers, I gained invaluable insight into the ‘why’ and ‘how’ of fine and gross motor development, something my teacher education program didn’t address. Stephanie also gave me the tools to support struggling kids. Her presentation is a must see for all educators and parents! Stephanie’s knowledge, insight, and experience seems tailor-made to our preschool age-group. As a result of her engaging presentation, we made motor-skill improvements and additions to our play-based curriculum the very next day. Stephanie’s breadth and depth of knowledge of occupational therapy strategies for preschool and school-aged children is reinforced by her sensitivity and passion to educate teachers so we can provide the best accommodations for all of our students. Stephanie does a great job of bringing in toys, tools, and giving demonstrations of how to help children develop their upper body strength, hand skills, and ability to use writing utensils. It was refreshing to hear the examples of play that can help kids learn to write. All teachers can benefit from Stephanie’s expertise! I came away with lots of ideas that are ridiculously easy to implement in the classroom. She gives very practical tips for adults to help children with sensory processing sensitivities and points out areas of the classroom that can be especially troublesome for them to maneuver. I could listen to her all day! Every time I hear Stephanie speak at our school, I learn more easy strategies I can implement in my classroom to help improve my student’s fine motor skills. Her perspective on development is so valuable to preschool teachers. The knowledge I have acquired from her has made me much more effective in the classroom. I would highly recommend her trainings to fellow preschool educators! Each time Stephanie presents, our preschool seems to buzz with new ideas, techniques, tricks, and success stories! Stephanie does an amazing job of explaining the complex topic of sensory processing in ways that all parents can understand and relate to. I now plan to create a “chill-out space” in our home for my three boys, and I found the strategies she suggested for helping kids tolerate dressing, grooming, and dining out especially helpful. Her workshop is a wealth of information for all kinds of families. Stephanie is a wealth of knowledge on how parents can cope, understand, and tackle processing issues in daily life.